Abstract—One of the major concerns in VANETs is to design a scalable and robust routing protocol, which usually depends on the ability of tracking the locations of vehicles in VANETs. The location information service in VANETs helps to find the destination vehicle effectively. However, vehicle mobility and lack of adequate location information management scheme for vehicles in large scale VANETs are the main challenges. In this paper we proposed a novel group-based location information service scheme that places Location Information Points on the roadside to provide up-to-date location information and resolve lookup query of vehicles in the network. Furthermore, our proposed scheme groups LIPs into hotspot or non-hotspot groups. Hotspot LIPs will construct a P2P overlay network which facilitates the resolution of the query message in VANETs. Comparing to previous schemes, our scheme can perform location update and reply to lookup query on each LIPs well with less communication overhead in large scale VANETs. 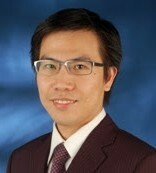 Chuan-Gang Liu is with the Department of Information Technology, Chia Nan university of Pharmacy and Science , Tainan, R.O.C. (e-mail: chgliu@mail.chna.edu.tw). Cite:Jung-Shian Li and Chuan-Gang Liu, "A Novel Group-Based Location Service Management Scheme in VANETs," Journal of Advances in Computer Networks vol. 1, no. 1, pp. 23-28, 2013.